Crosbie Garstin was born in Penzance, Cornwall on 7 May 1887. His father, Norman Garstin, was already an established Newlyn Artist, his most well-known painting being ‘The Rain it Raineth’ featuring the promenade at Penzance painted in the impressionist style. Crosbie grew up in the artist’s colony in Newlyn modelling for both his father and the other artists. He demonstrated an artistic talent especially in caricature – there are some delightful and amusing examples depicting his sister Alethea’s scrapes during her school days. He was sent to Brandon House School in Cheltenham but sadly to the disappointment of his parents failed his Navy entrance exams at sixteen and was then sent to another boarding school, Bedford County School. It was at school he began to develop his talent for writing, both poetry and prose for the school magazine, his experiences at both schools were to feature and be drawn on in his later work. On leaving school he travelled to America working as a cowboy; to Canada where he worked as a lumberjack; and then to South Africa to work on a ranch. On the outbreak of the first World War Crosbie returned to the UK, joining King Edward’s Light Horse and was sent to France in the spring of 1915. He fought in the Battle of Loos and in Italy before being sent to Dublin in 1916 as an Intelligence Officer. During this time, he became a contributor to Punch and in 1916 published his first book of poetry ‘The Vagabond Verses’. In 1924 he married Lilian Barkworth who he had rescued from drowning when she was visiting Lamorna in 1922. As a novelist he is best known for his Penhale trilogy: The Owls House, High Noon and The West Wind. 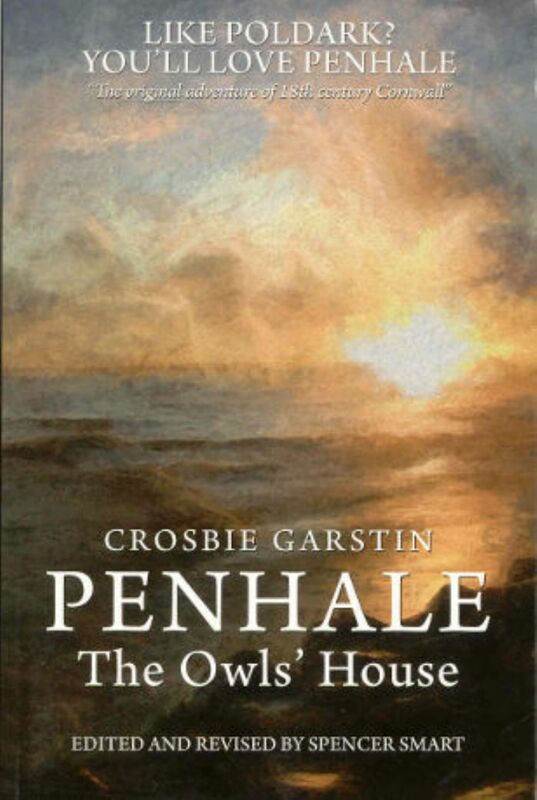 Penhale is widely thought to be the inspiration behind Poldark and the fast paced plot, deeply rooted in West Penwith, remains a diverting and entertaining read nearly 100 years after it was written. He continued to write poetry and novels and produce witty caricatures and sketches many of which he sent to personal friends. Then, suddenly, on 20 April 1930 he met an end which he could have created for one of his own characters. Crosbie Garstin, the action man, disappeared at Salcombe when his rowing boat capsized. His two friends made it back to the shore but Crosbie, the strong man and the best swimmer, was never seen again. 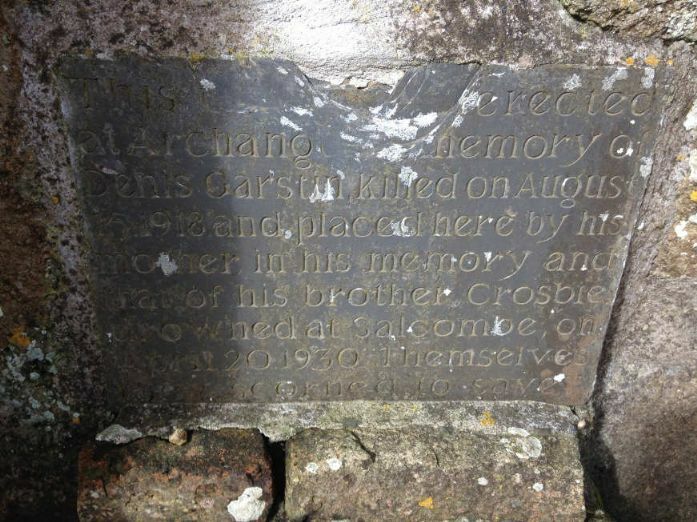 Both his parents, Norman and Dochie Garstin, are buried at St Hilary Churchyard and a small plaque dedicated to both Crosbie and his brother Denis is set into the wall by the path going into the church. A limited edition biography of Crosbie Garstin, The Witty Vagabond by David Tovey has recently been published by Wilson Books.